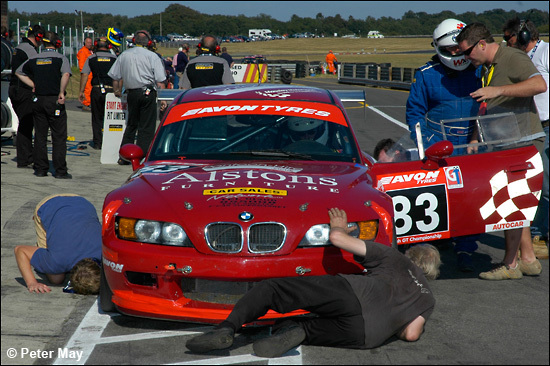 Alastair Davidson and Chris Wilson were back in British GT action last weekend, at Snetterton, in their BMW Z3M – but they have plans for 2007, involving a GT3 Dodge Viper. They were spotted at the ALMS event at Mid-Ohio back in May, but it’s taken us until now to catch up with their plans. It’s an odd feature of GT racing in the UK that no one has yet run a Dodge Viper: Davidson and Wilson are out to change that.